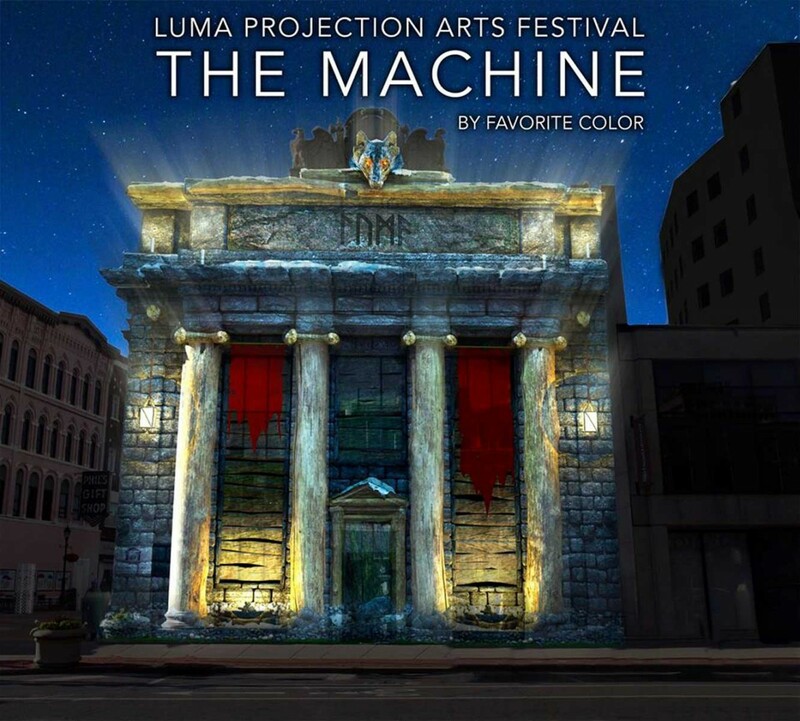 LUMA is the only festival in the US that focuses on projection mapping. Artists pick a building that strikes them with inspiration and then use it as a canvas to tell a story. 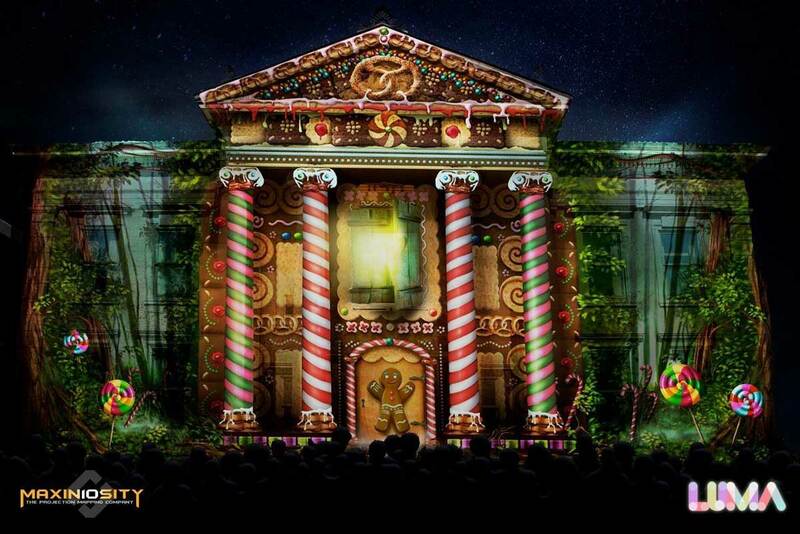 This allows an ordinary building to be transformed into something extraordinary, such as a colossal candy-laden gingerbread house. 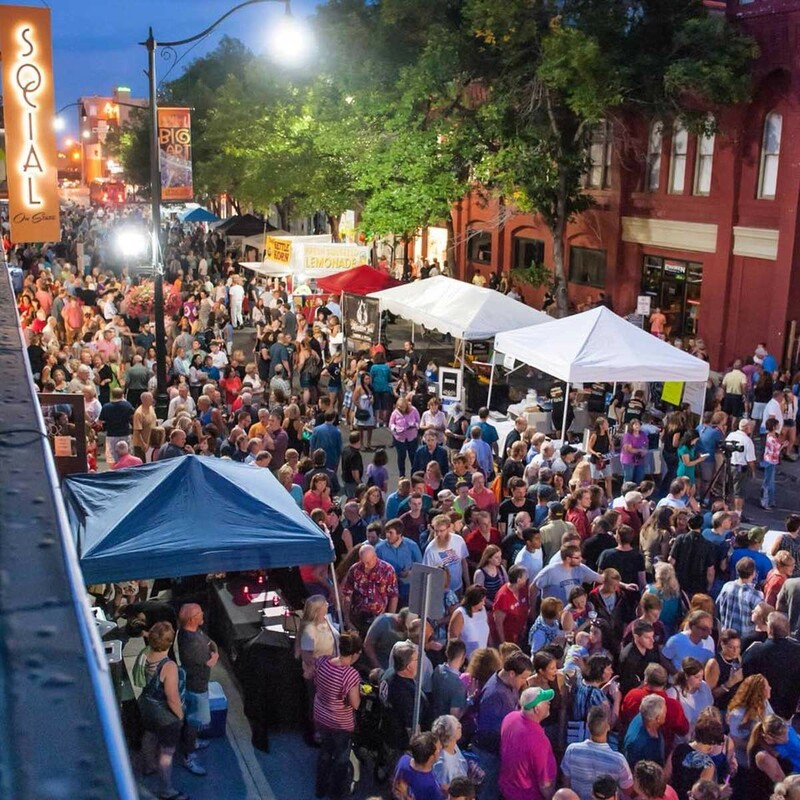 LUMA is also the largest festival held in downtown Binghamton, attracting over 35,000 people to its streets in 2017. Plus, almost all major features are 100% FREE! Yes -- I said FREE! With the addition of new, exclusive shows, such as "Transfiguracio," and events like the LUMA Storytellers Conference, this previously one-day event has upgraded to a three-day festival full of fun, art and storytelling. That’s right -- LUMA will span an entire weekend this year for the first time ever! Now, you can come see your favorite art projections again on a second night; or if you can’t attend one evening, you’ll have another chance at getting in on all the fun. 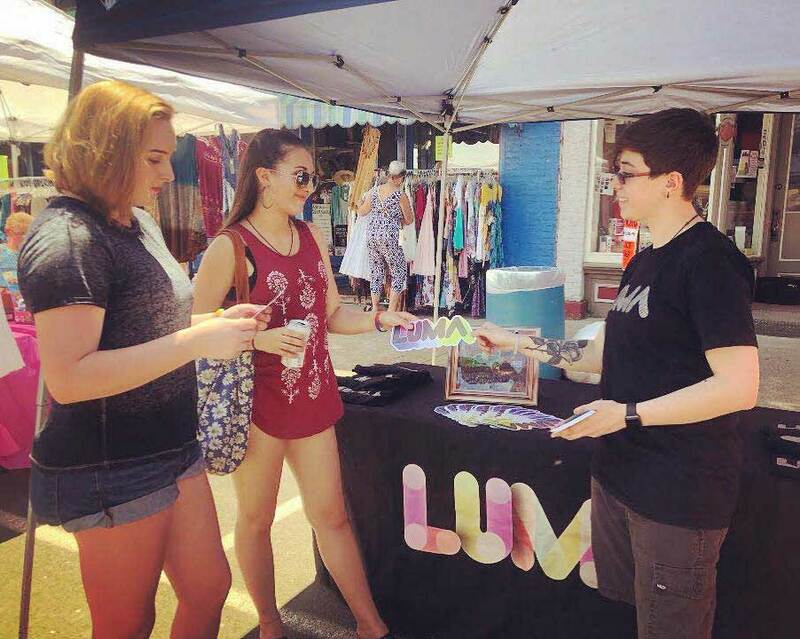 Tons of Binghamton University students are coming together to get involved with LUMA. From helping with promotion, to running some of the projections themselves, student involvment is vital to the overall success of this revolutionary festival. You can be involved, too, simply by bringing your friends and spreading the word about America’s coolest festival! This year, a 44-piece chamber orchestra and stunning light projections will come together to create a once-in-lifetime immersive experience, and LUMA’s very-first indoor major feature. It’s called "Transfiguracio," and you do not to miss it. "Transfiguracio" will be held at the United Presbyterian Church on Chenango St. and will have multiple showings on both September 7 and 8. While the rest of the festival is free, this event is a ticketed feature, so make sure you purchase tickets to reserve your seats! Tickets are only $8, and they're almost sold out! Max10sity, based in Budapest, Hungary, has put together the largest projection in LUMA’s history. Titled “Neon Unconscious,” this projection will span seven stories on the George R. Harvey Justice Building on Hawley St. To get some perspective on just how massive this projection will be, let’s bring in some numbers. 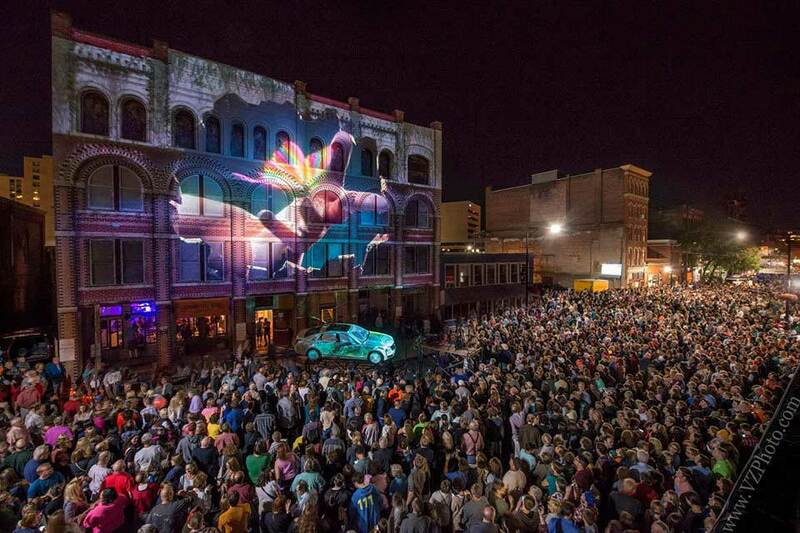 Last year, the largest projection required five 20,000-lumen projectors; "Neon Unconscious" requires 17 alone! This is more than the total number of projectors used in the entire festival last year combined. With a scale this large, "Neon Unconscious" promises to be exceptionally grand and indescribably cool. This year, the festival will host the first-ever LUMA Storytellers Conference at the Binghamton University Downtown Center on Washington St. If you’re interested in learning what goes into creating art of this magnitude, you won’t want to miss this event. Don’t miss this special event that will close out an entire weekend of art and storytelling on Sunday, Sept. 9. Make sure you check the LUMA website for ticket information regarding this event. For the projection titled ”The Truth Shall Set You Free,” creator Light Harvest not only mapped the Crowley Building at 95 Court St., but they also used motion-capture technology to tell a story through dance. 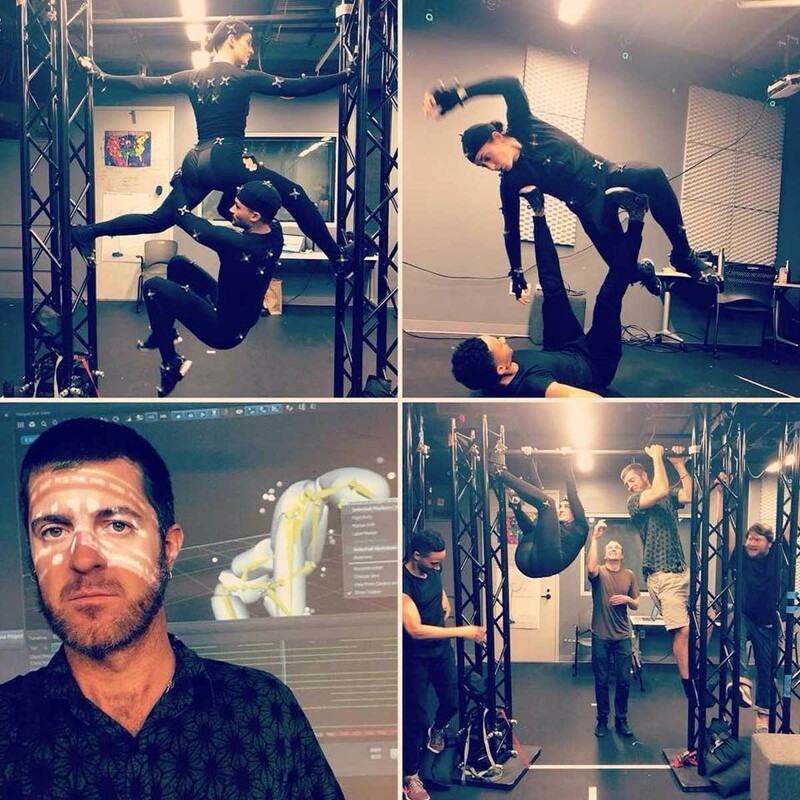 Professional dancers out of New York City were filmed wearing special motion-capture suits, like the ones used in Avatar, The Incredible Hulk and Guardians of the Galaxy, to create human-like figures within their projection. Get ready to be captivated by this technological transformation of dance, and the way in which this medium tells a story. Our very own homegrown talent, Favorite Color, which is a creative design studio and production company based in Binghamton, has put together a show called “The Machine” that will be shown at the HealthlinkNY building on Court Street. This show promises to take you on a spectacular journey through time and alternate dimensions. How awesome does that sound? Favorite Color does some of the best work in the country, partnering with HBO, Showtime and Disney, to name a few, and we’re proud to have them as a part of LUMA. It’s lights out for dinner at participating restaurants, so get ready to have your sense of taste thrown into overdrive. Servers have infrared goggles on to see where they’re going, so don’t worry, you won’t get your meal spilled all over you -- unless, of course, you spill it on yourself. Seriously, when will you ever get another incredible opportunity here in Binghamton to have a dining experience in the dark? It’s definitely a bucket list item you need to check off your list. Not only is LUMA an amazing opportunity to bring our community together, but it’s also an opportunity for serious economic development. This festival has millions of dollars of economic impact and draws in spectators and artists from all over the world. Binghamton’s history is deeply rooted in technology with the revolutionary breakthroughs of companies such as IBM and Link Aviation. 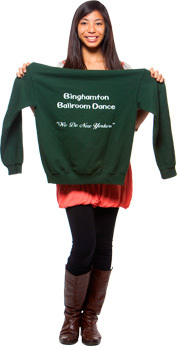 The new Binghamton, however, is a renaissance of art and culture. LUMA, with its focus on the bridging of art and technology, serves as the intersection of Binghamton’s past and Binghamton’s future in a truly unique way. LUMA takes place in early September, not too long after classes start at Binghamton. Take advantage of this fun, end-of-summer event to get out and enjoy yourself with your friends, housemates or roommates before the semester starts to get super stressful with the first round of exams. This is also the perfect opportunity for off-campus students to participate in one of the many activities hosted within the Binghamton community throughout the year. 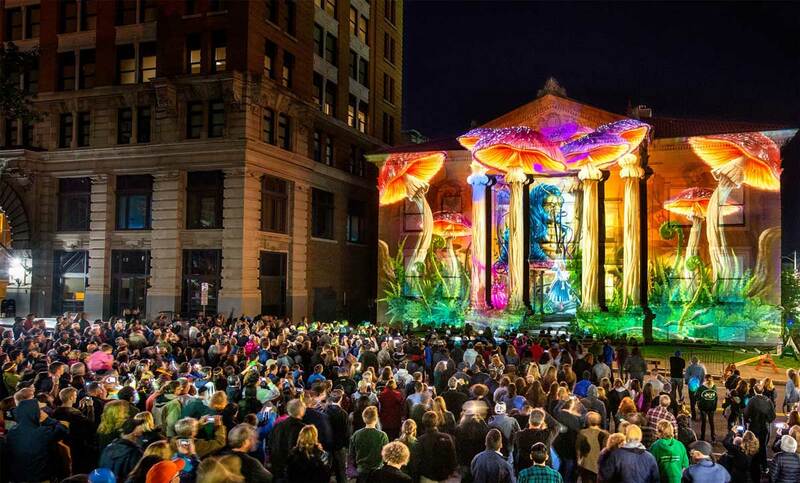 So, head on over to downtown Binghamton the weekend of September 7-9 and be one of thousands to witness this spectacular festival of lights, art and technology.